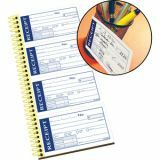 Adams Write 'N Stick 2-Part Receipt Book - Write 'n Stick receipt book features four spiral-bound forms to a page. 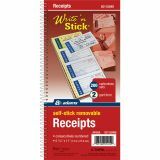 The top copy with repositionable adhesive to stick to most surfaces. Peel away top form to expose the adhesive back. Receipts are consecutively numbered. 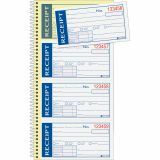 Use the two-part carbonless receipt forms (white, canary paper sequence) to record general receipts and rents. 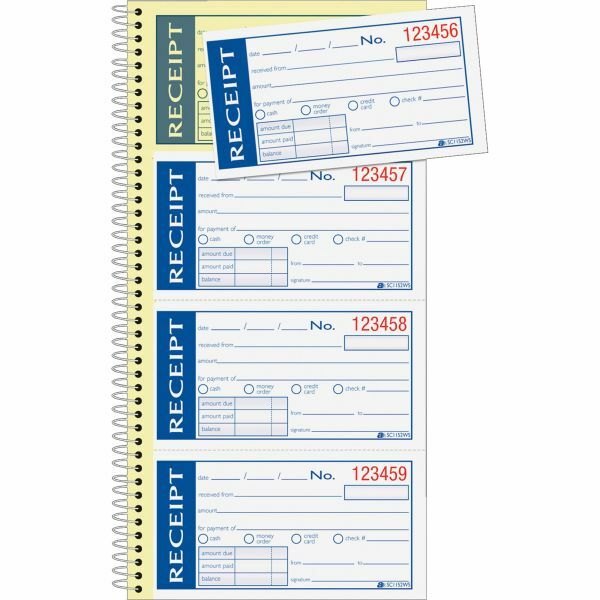 Convenient checkboxes allow you to indicate reason for payments. With SFI Certified Sourcing, the fiber used in these forms was obtained from responsible and legal sources.